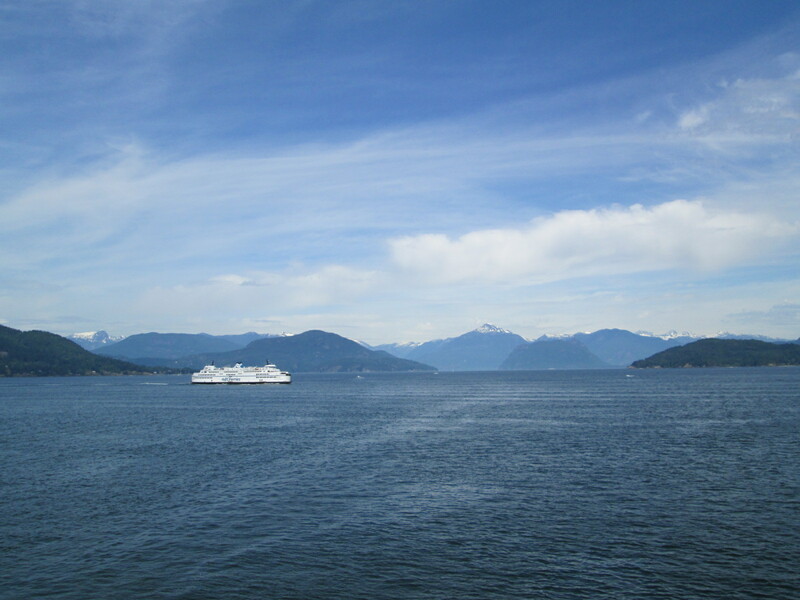 To get to Bowen Island you need to take the hourly Queen of Capilano BC Ferry from Horseshoe Bay to Snug Cove. The timetable can be found here. A return foot passenger ticket costs $11 for the 20 minute journey across the water to the island inhabited by 3,300 people. Make sure you get yourself a good spot on the sun deck and have your camera ready to grab some stunning photos of the surrounding snow-capped summer mountains. 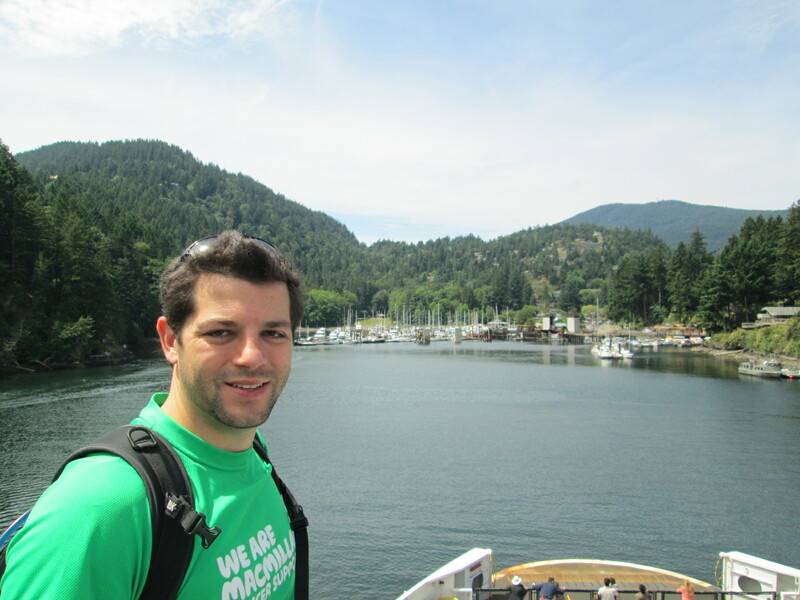 You don’t need a return ticket, you simply walk back onto the ferry at Snug Cove. The last ferry from Bowen Island leaves at 10.10pm. 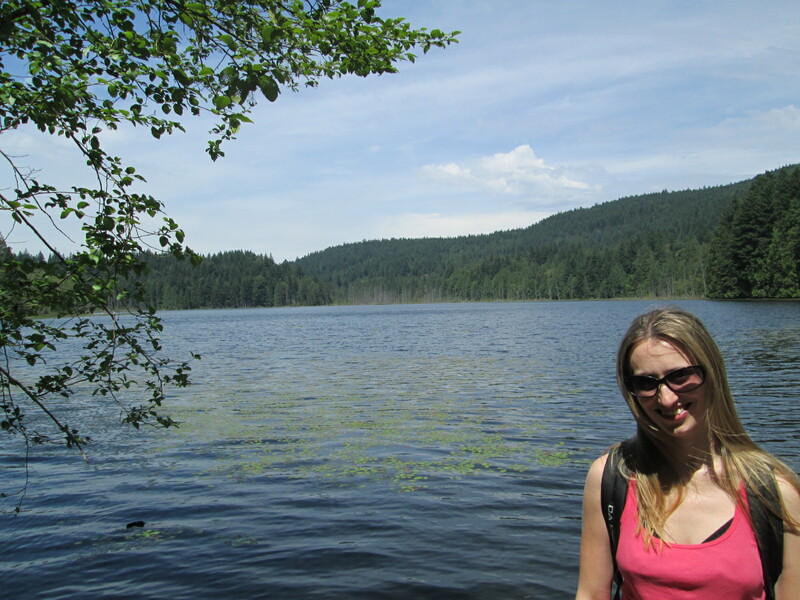 The Kilarney Lake hike is approximately 9 km in length, with minimal elevation gain and took us approximately 2 and a half hours to complete with a 15 minute lunch stop. 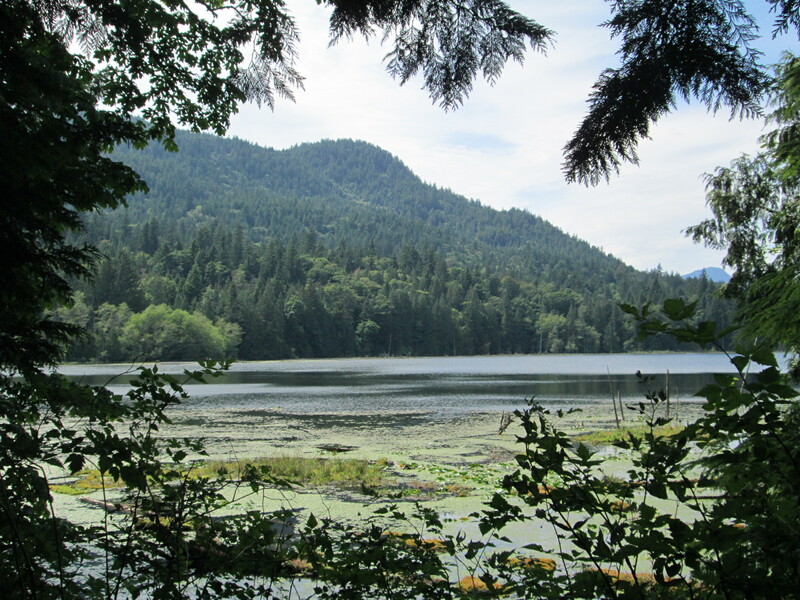 After leaving the ferry take the first road on your right next to the Bowen Island Library and walk past the visitor centre (where you can pick up a trail map) to the signposted Alder Grove Trail and head into Crippen Regional Park. The first highlight of the hike is the Bridal Veil Falls which flow into The Lagoon. 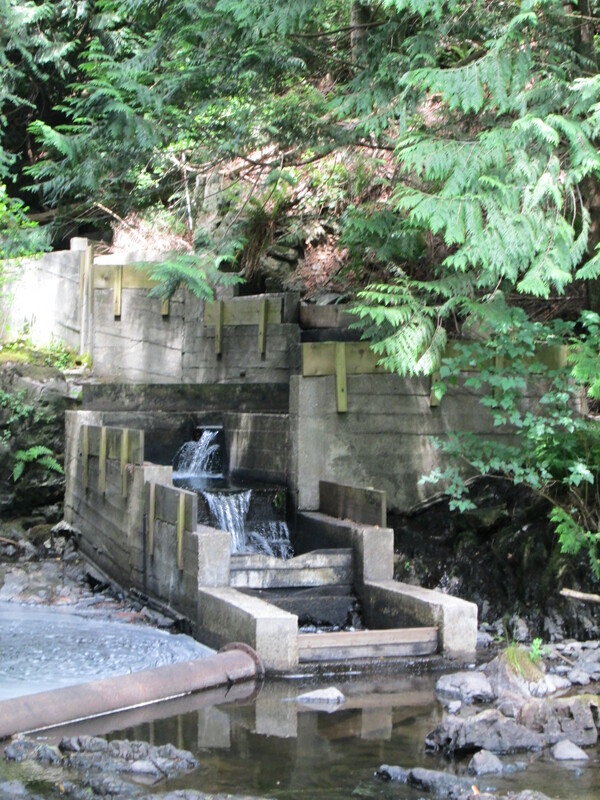 The falls have a clever fish ladder to allow fish to swim upstream during mating season. We imagine it would be quite spectacular to visit during the early autumn to see some Salmon getting some serious Michael Jordon “air time” as they move upstream! 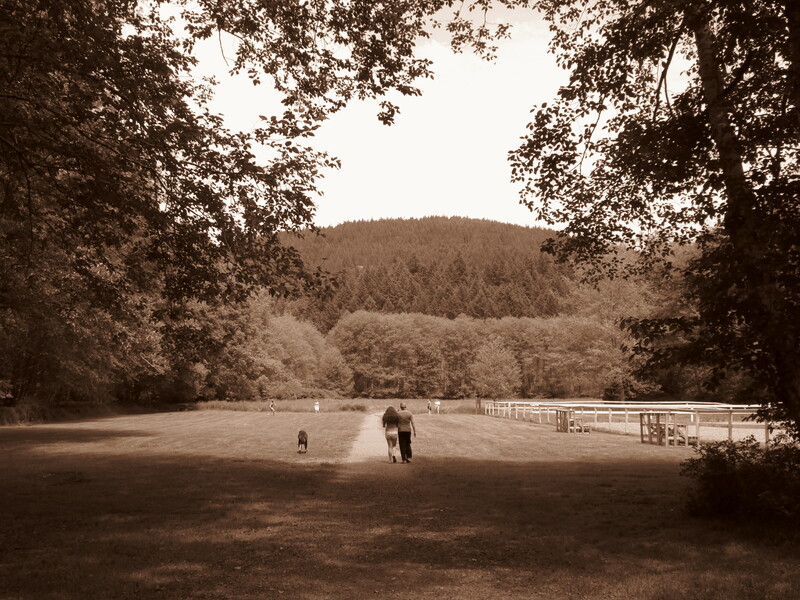 After crossing the Millers Road we followed the Hatchery Trail through some lush rainforest before taking a right into the tranquil Terminal Creek Meadows, although we did have to dodge some suspect Aussie rules players trying to throw a strange shaped ball around! 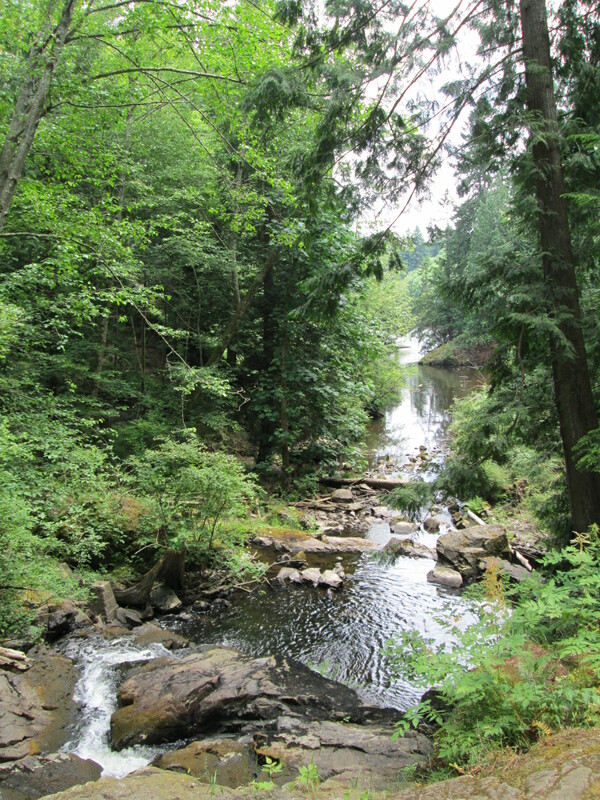 After taking a right onto Killarney Creek Trail we headed down to the dam at the south end of Killarney Lake, which offered a great viewpoint of the water and surrounding mountains, as well as some picnic benches and washrooms. We did witness a fellow hiker taking some time out for an early afternoon nap in the summer sunshine only to be woken up by a out of control puppy giving her a lick to the face! 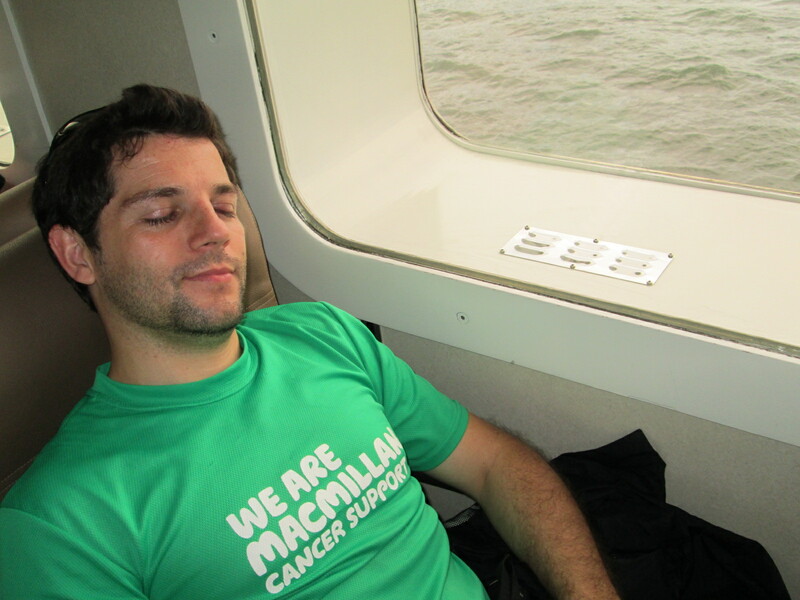 Top tip – sleep with one eye open! 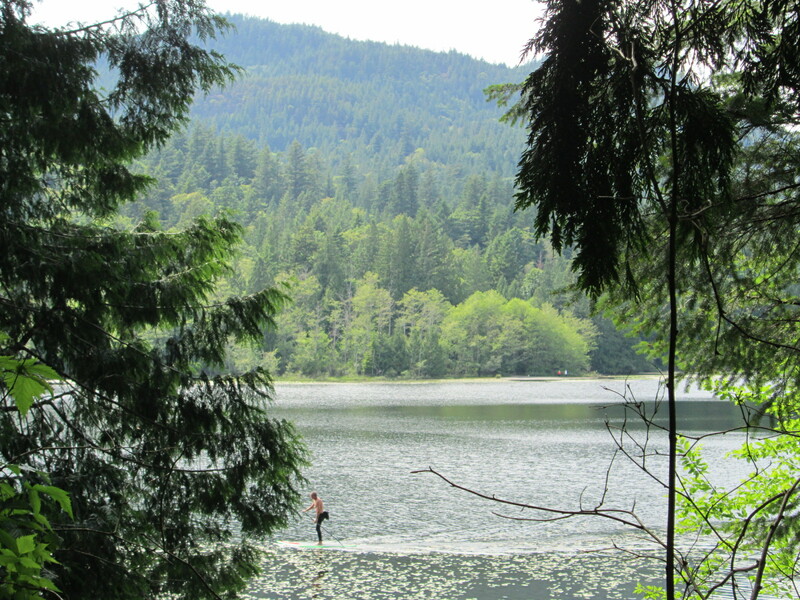 The 4km undulating hike around the rest of Lake offered some great exercise, which you can also take to the lake in the form of paddle boarding (you need to bring your own). The return journey is a repeat of the inward trip. For those of you looking for a longer, more challenging hike on Bowen Island, check out the 17km intermediate trek 719m up Mount Gardner. 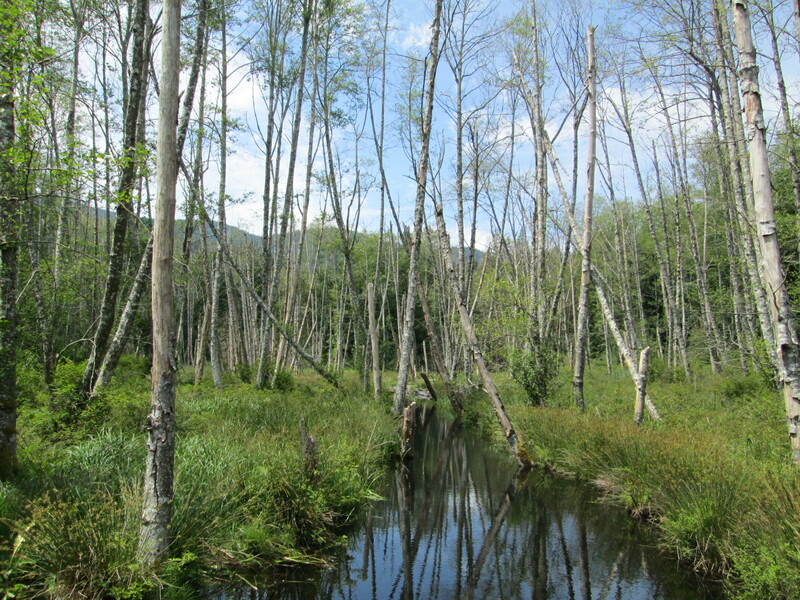 Snug Cove is a peaceful backwater which offers an excellent retreat from the intensity of the city. 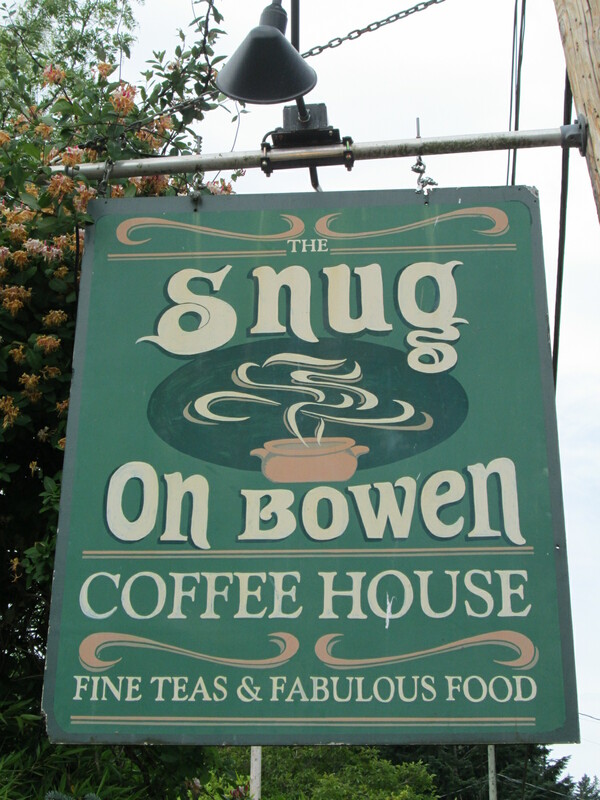 There is a great Coffee House called the Snug Cafe, which offers a full range of breakfast, lunch and snack offerings. Helena fell in love with their raspberry cream cheese croissant. 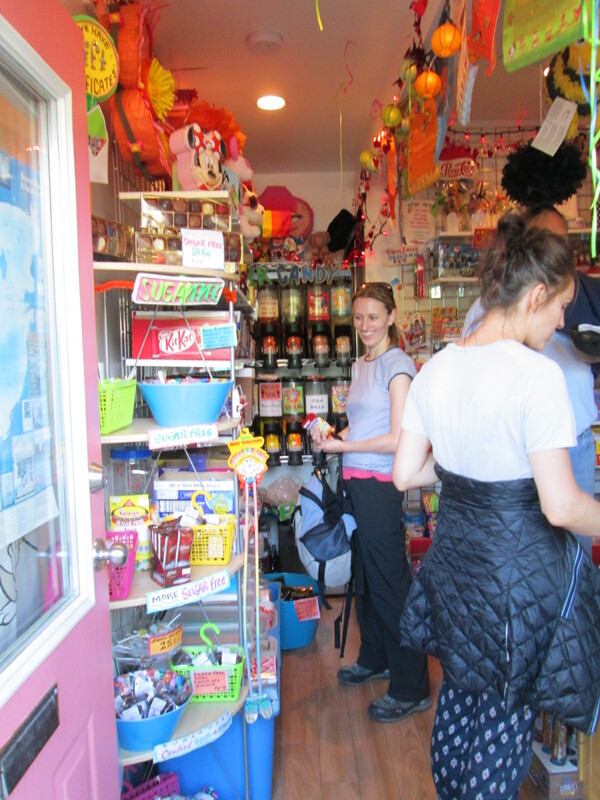 We also stumbled upon the smallest Candy Shop in the world, which was about 6ft by 4ft! The shop had 3 customers in and was full! Despite its size the shelves were packed with treats from all over the world, which because of Helena’s ability to guess the name of the children’s song playing in the store we got free!! 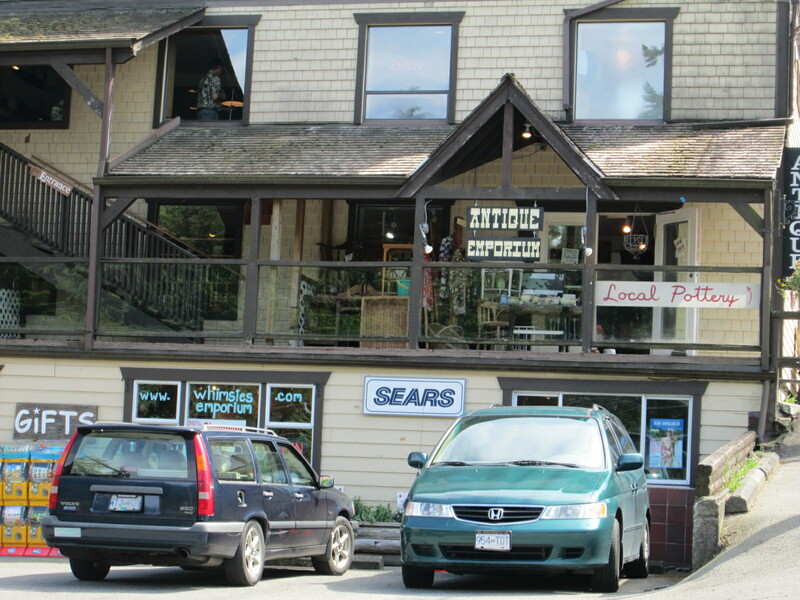 Continuing the size theme, we also noticed that Snug Cove is home to the world’s smallest Sears! Snug Cove also has a great looking pub (Doc Morgan’s) overlooking the harbour which provides a welcome retreat for tired hikers….shame we were running late yet again for the return ferry. 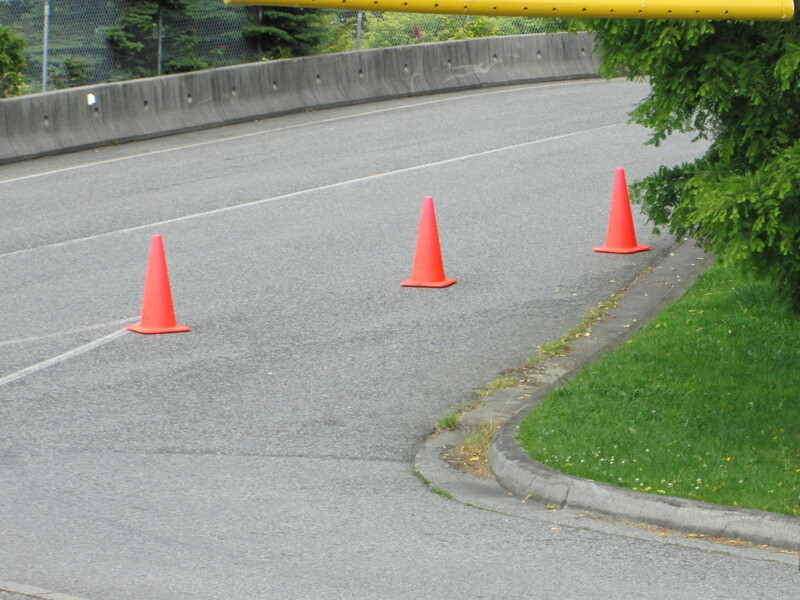 – If you’re driving to Horseshoe Bay in the summer on a weekend, make sure you get there early to get a car parking space in the BC Ferries official car park (which apparently fills up by 9am) otherwise you will face the dreaded 3 “you shall not pass” cones! With limited parking options, we managed to find a space outside a local school which was a 15 minute walk (or a 5 minute run downhill if you’re late for the ferry) to the terminal. 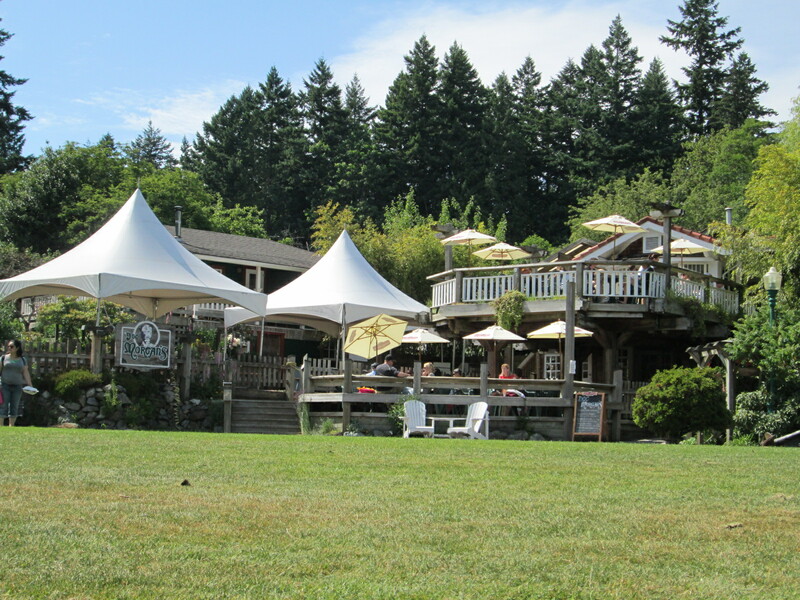 – Finding an ice cream can be surprisingly hard in Snug Cove on a sunny day! We managed to get one at the candy store! 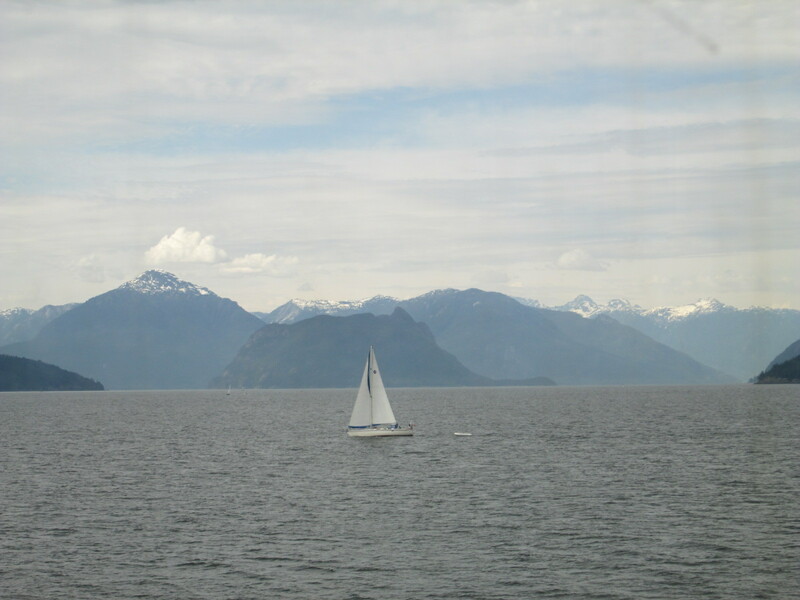 – It can get pretty windy on the sundeck during the quick 20 minute crossing – hold onto your hat!! The island has enormous sea kayaking opportunities around its sheltered bays. For those who can handle the cold ocean water there is swimming off the island’s sandy beaches. The trails are bike friendly. The Island is also known for its artwork and jewelry. 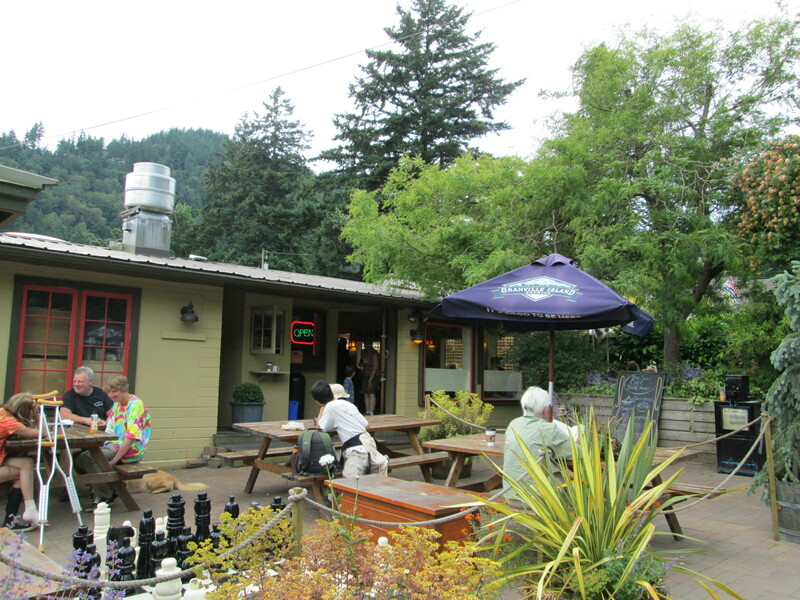 So in summary, a day trip is Bowen Island is cost effective and offers visitors a great chance to unwind and enjoy some beautiful scenery, while the ferry ride home gives you a great chance to catch 40 winks after a long day on the trails….